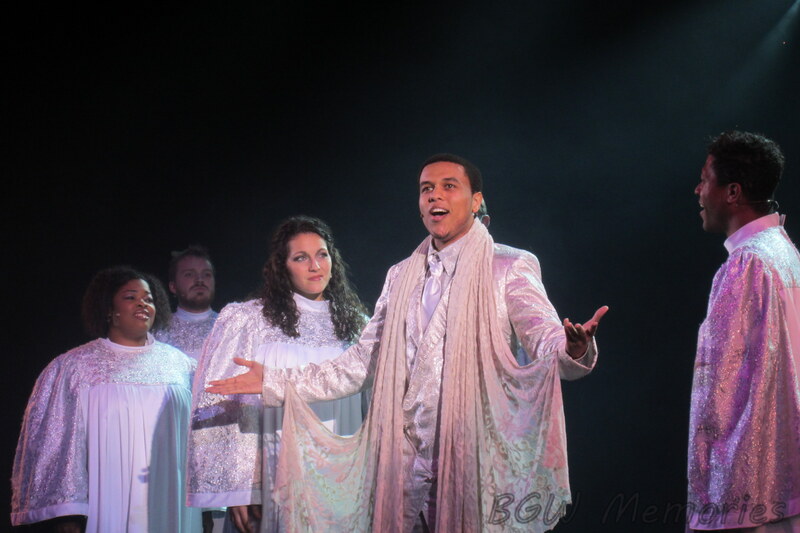 *This article was previously written and shared on BGWFans.com and on Busch Gardens VA Blog in 2010. In recovering my hard drive this past month, I have found my old story and photos. Enjoy. The Swings ready to fly in the snow! 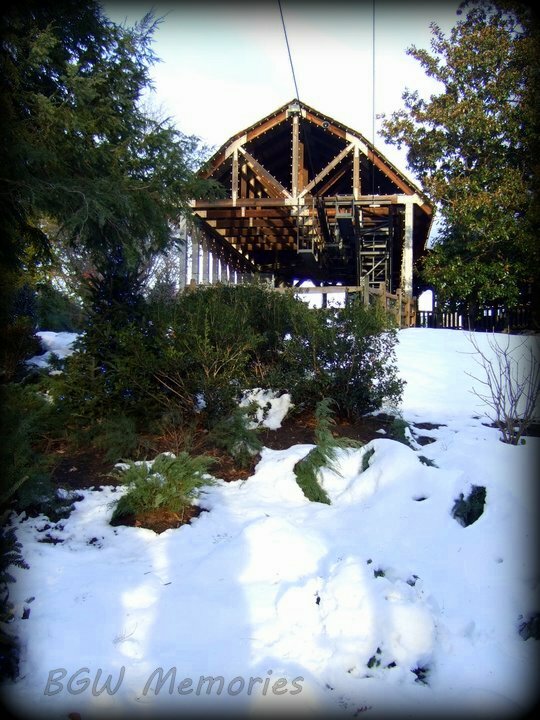 When I was very little, I used to dream about what Busch Gardens Williamsburg looked like in the snow. Most kids would peer out their window and watch the falling fluffy flakes; thinking about snowball fights or building a snowman. Not me. I would try to imagine what the Loch Ness Monster Roller Coaster all covered with snow and ice; sparkling in the winter sky. What happened in the park when it snowed? Did anyone get to walk around and experience the acoustic nothingness that only comes when snow falls? Did the Rhine River Freeze? All these questions plagued me back when there were no social networks updating fans with a constant stream of photos or Blog posts. Heck, you couldn’t even e-mail the park for a quick answer! You had to send in a handwritten letter; yeah, remember those folks? The paper and pen kind? Oh, how times have changed! Still, a few decades later, my ultimate winter questions were answered. 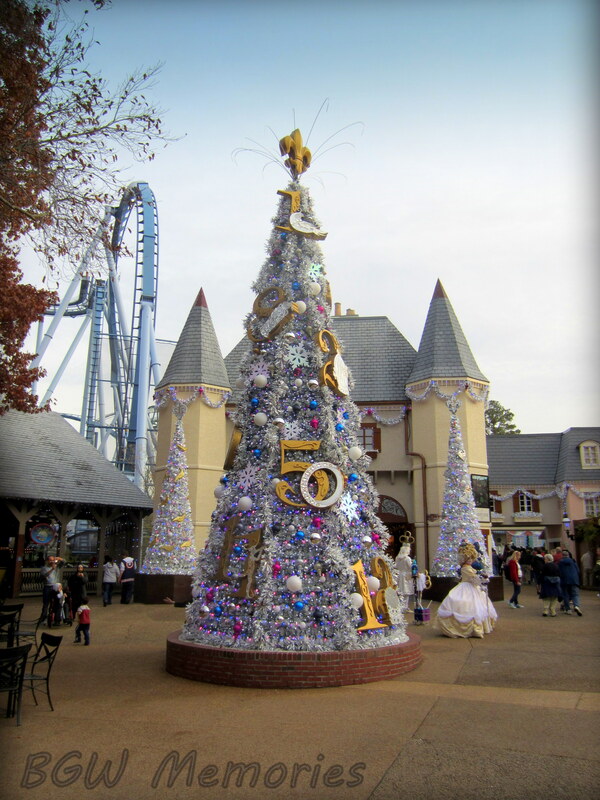 It only took two miraculous things to happen; Busch Gardens opened their doors throughout December with an event called Christmas Town and Virginia was hit with one of the largest snowstorms in decades. Of course the bad news was that in order to safely open the park, the employees had the arduous task of clearing over a foot of snow on all the pathways, bridges, steps, railroad trestles, and more. Most of us get tired after cleaning off our cars and shoveling the driveway. Imagine doing that over 350 acres! The dedication of everyone involved in the clearing process allowed the park to reopen three days later. Knowing this, I had my camera charged up and ready to go with heartfelt appreciation. This was a real snowfall and the park had to be spectacular! I got there as soon as the park opened; set out for the sole purpose of gathering the ultimate Busch Gardens winter photo showcase. I was not disappointed; icicles dangled from the roof tops like prisms, snow blanketed every inch of the landscape, the Rhine River was frozen solid, and the frosty air made Christmas Town at Busch Gardens reminiscent of a winter themed lithograph by Currier and Ives. Being at the park after a snowfall was just as I imagined in my youth; it was magical. Perhaps Santa was finally answering some of my Christmas wishes on those old “handwritten” childhood letters after all. However, I am still waiting for my own personal roller coaster. Santa, I hope you are listening. 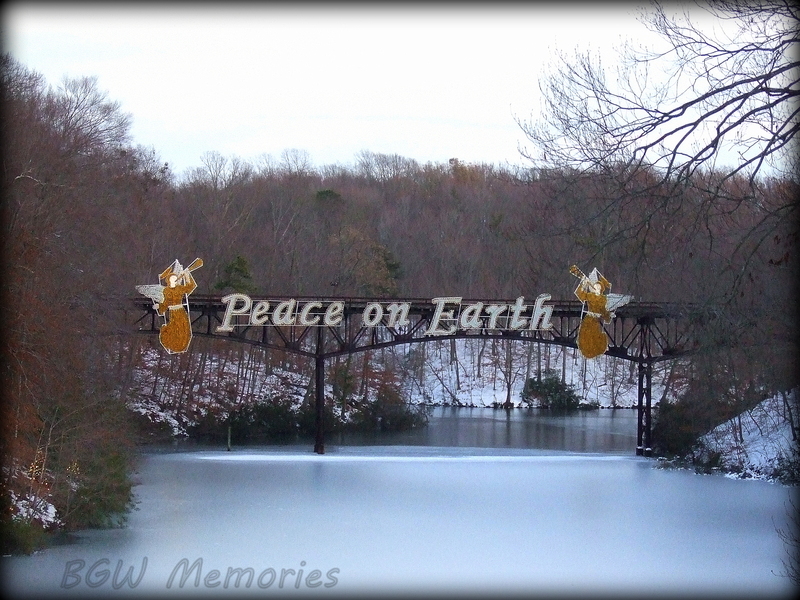 For more Winter Wonderland Christmas Town snow pictures, please visit BGW Memories on Facebook for the complete photo album. 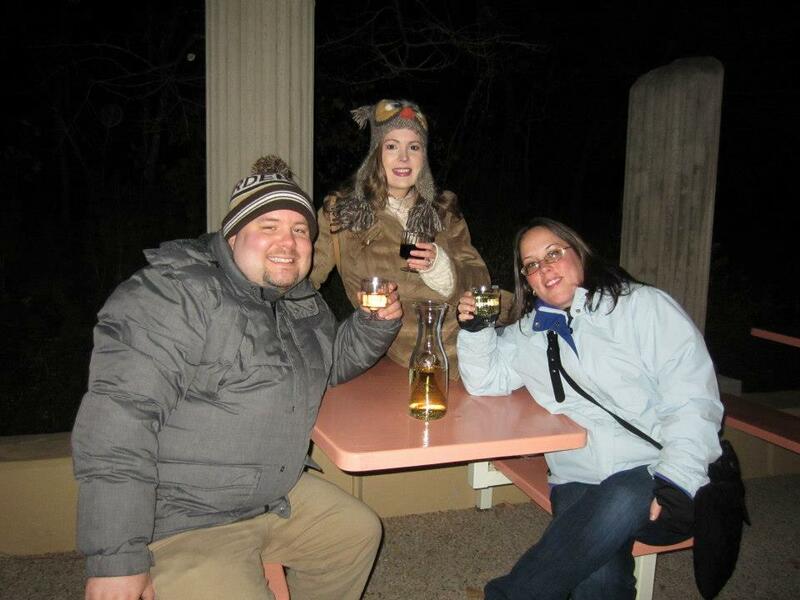 Feel free to submit your own Busch Gardens in the snow photos to keep the album growing! 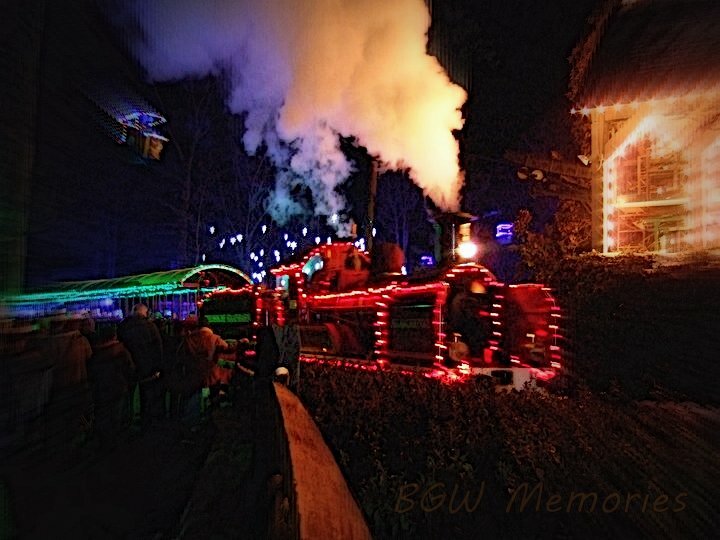 While turkey leftovers are still in the fridge and families are together, many will set out to enjoy the joy of Christmas Town at Busch Gardens Williamsburg. Already reaching the fifth year, Christmas Town has firmly established a yearly tradition for most of us. Every year the event brings friends, families, and even complete strangers together to celebrate the season with lights, fun, food, music, inspiration, and entertainment. 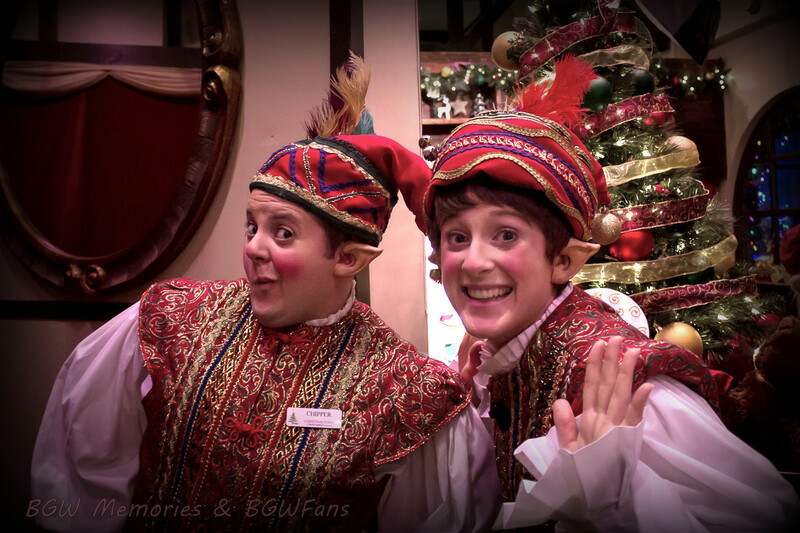 When Christmas Town opened on November 27, 2009; I was there; ready to go and see what Busch Gardens had to offer! Through the crowds I navigated with my brown coat and fuzzy earmuffs, bedazzled by decorations and the smell of hot cocoa and peppermint in the air! The Christmas music playing in the park gave me the warm fuzzies as I held my husband’s hand and just took the time to enjoy a lovely moment in time. 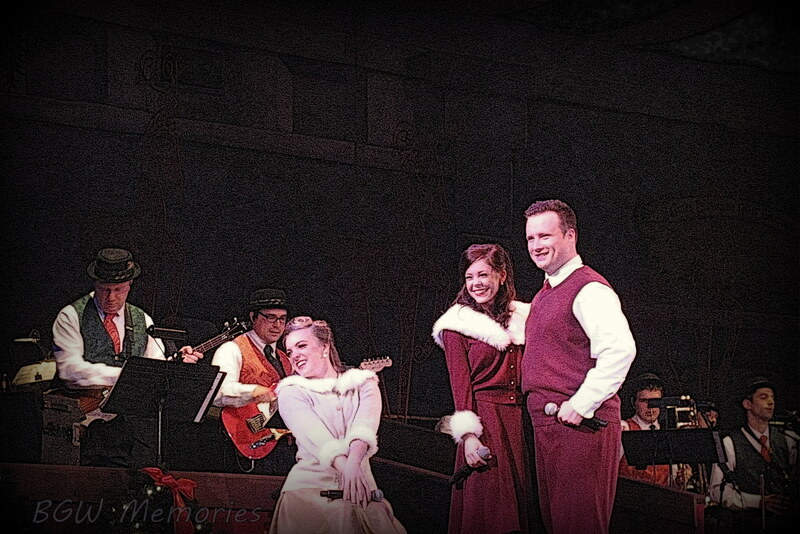 I am glad to know that five years later, I still have that warm fuzzy feeling at Christmas Town. This year the grand opening of the event was the weekend before Thanksgiving; a smart move on the part of Busch Gardens. Having the event begin a week before the Thanksgiving weekend is brilliant when it comes to efficiency; performers get a little extra practice, retail shops make sure the registers are up and running, the rides operators are getting used to the cold, and the entire park gets a “test run” before a huge crowd lines up to enter the park after the Holidays. I decided to go on both Friday and Sunday in order to capture all I could before the Holiday rush and to provide an overview of the ChristmasTown experience. Laughably and in typical Virginia fashion, one day the temperatures reached into the 70s the other, the 30s. Yet despite the temperature fluctuations, my experience remained the same on both days. 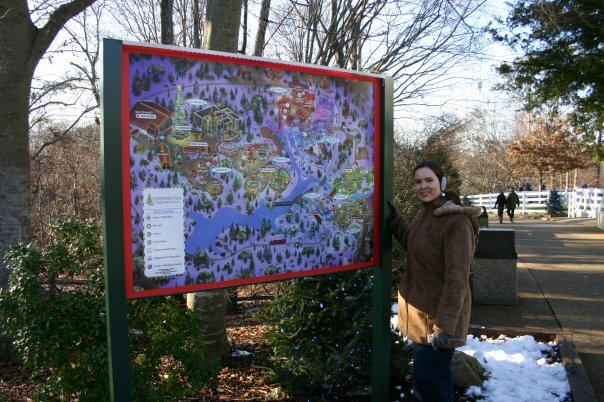 For your enjoyment, here is an overview of what I consider the must see points of interest while visiting ChristmasTown this year. This year France sparkles with a new look of silver and violet. The theme is the 12 Days of Christmas and the first thing one sees upon entering is a very large and beautiful tree with the numbers and corresponding “gift” for each day. Also new in France is the roaming Royals of Aquitaine. 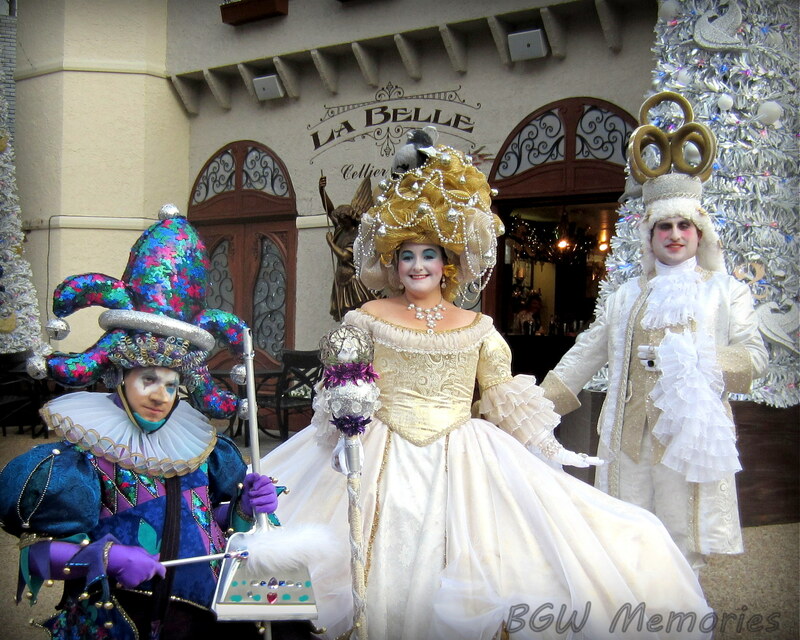 Her Majesty Queen Florette, His Majesty King Francois, and their court Jester Harlequin loves to greet you and pose for a photo. 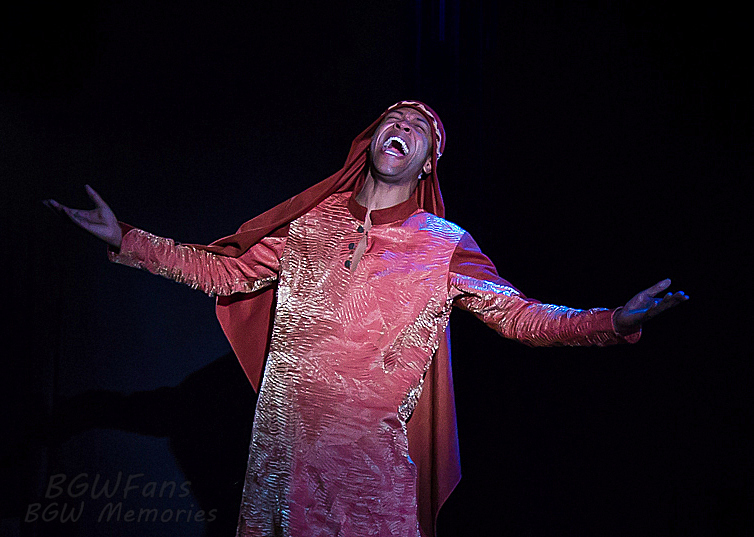 The performers are fabulous and their improvisational humor will be sure to make wonderful memories for years to come. The Royals of Aquitaine are a must see!!! Besides seeing the Royals, France offers a fabulous gift shop full of French themed merchandise, soap, and what else- wine! 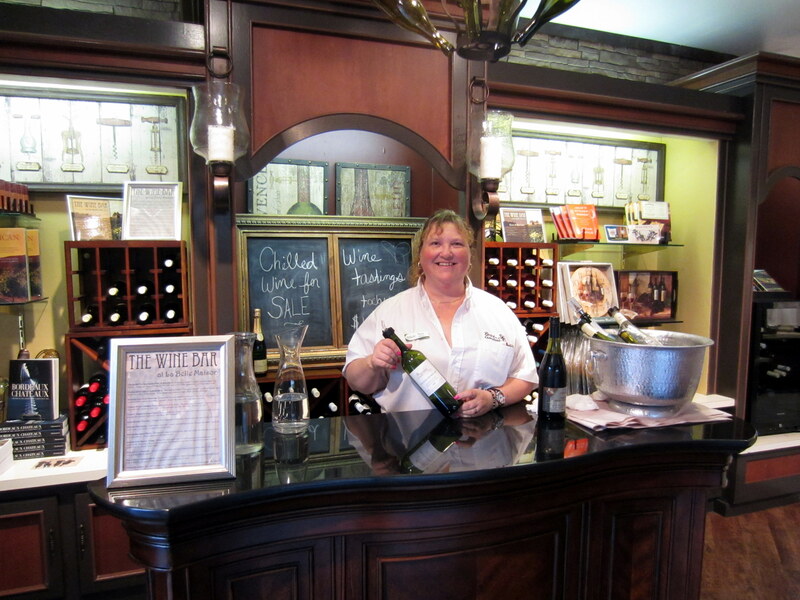 Le Belle Maison Gift Shop hosts one of the three locations in the park where guests can partake in wine tastings. The store sells the wine tasting package, bottles of wine, wine themed merchandise, clothing, jewelry, chocolate, Christmas ornaments, bags, French themed décor, and more. Going past the gift shops and around the Royal Palace Theater is the Ice Palace Penguin exhibit. 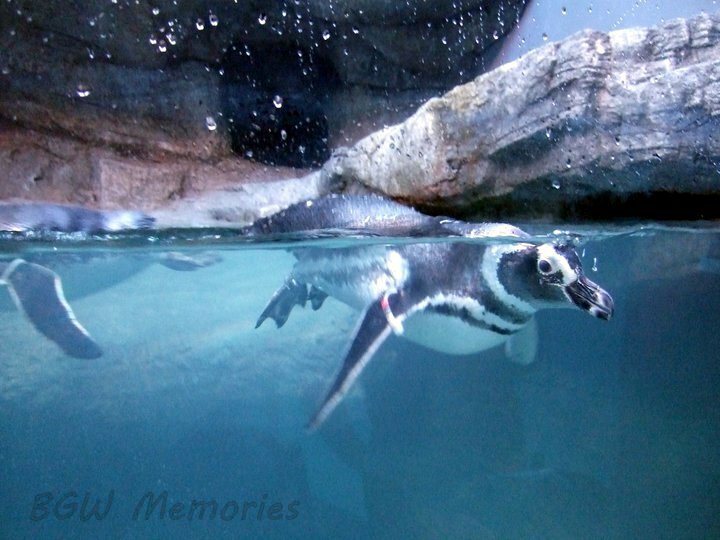 The ever popular exhibit features an up close look at the adorable penguins in a themed enclosure. The park also offers a behind the scenes penguin tour, but be aware that the tour must be purchased and booked in advance. Penguins and Roaming Royals are certainly entertaining, and so are the shows at Busch Gardens. 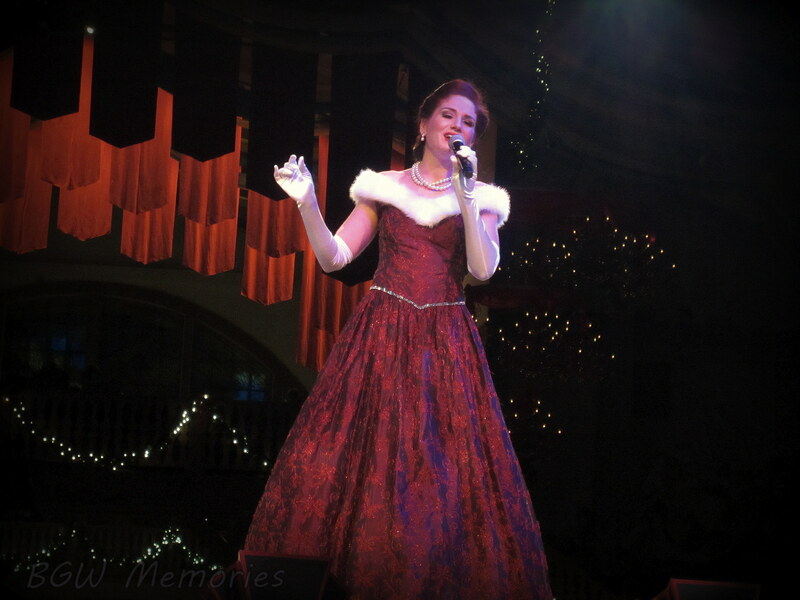 This year features three returning classic shows: Gloria!, Deck the Halls, and Miracles. 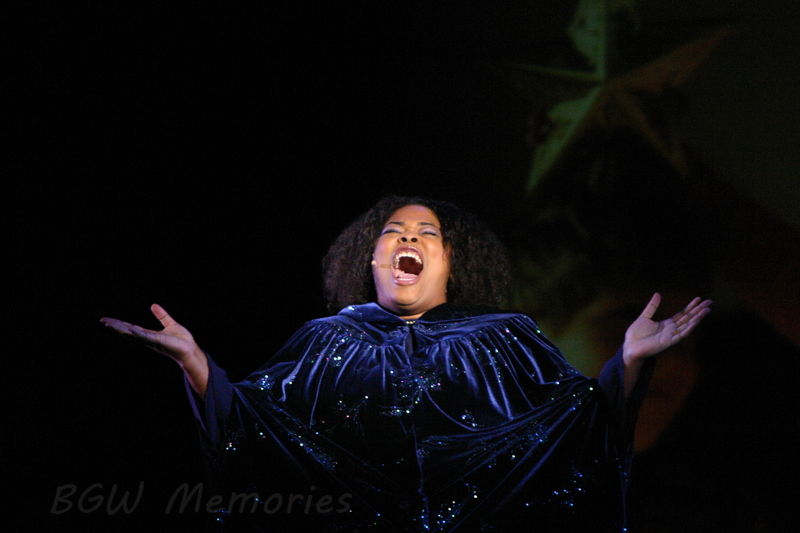 Located in the Abbey Stone Theater, Gloria! set my holiday off right. 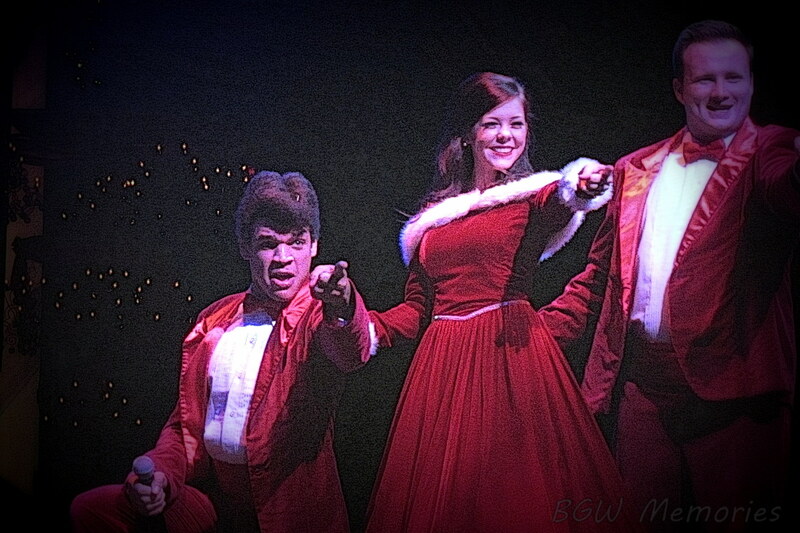 It was the first show I saw this Christmas Town and even though the theater was toasty warm, the beauty and power of the performance gave me chills! Even the grouchiest humbug will admit that the soaring vocals of the music, accompanied by a live orchestra will make your season bright. The show is extremely popular and if you want a good seat, it is best to get there early. 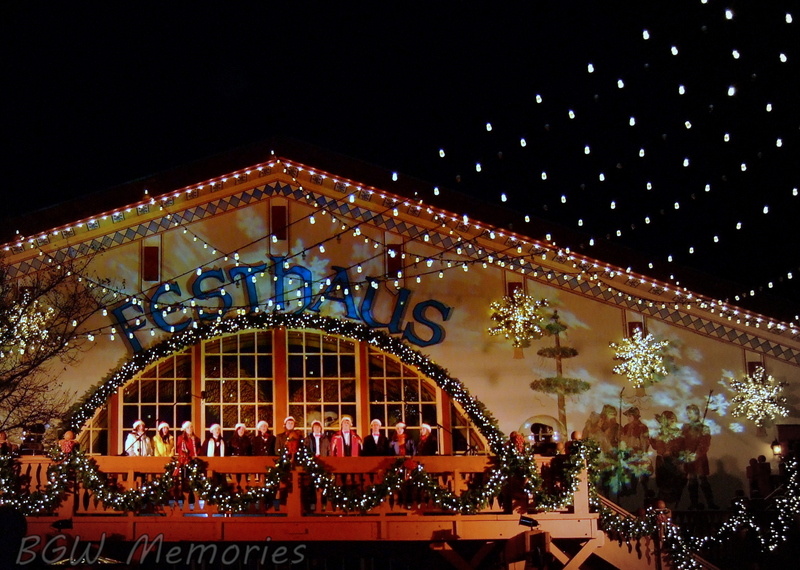 Over in Oktoberfest Germany, Deck the Halls takes center stage at the historical Festhaus. 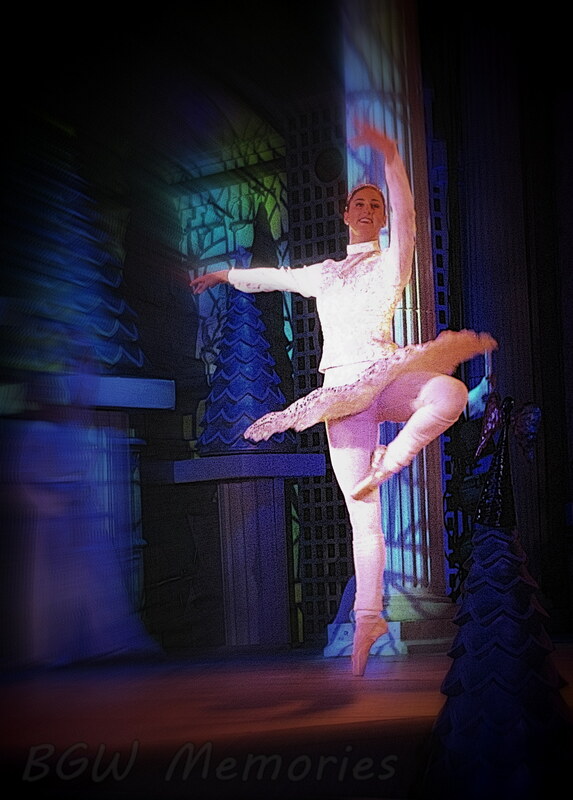 The show brings back the classic Holiday Favorites that will get you tapping your toes. 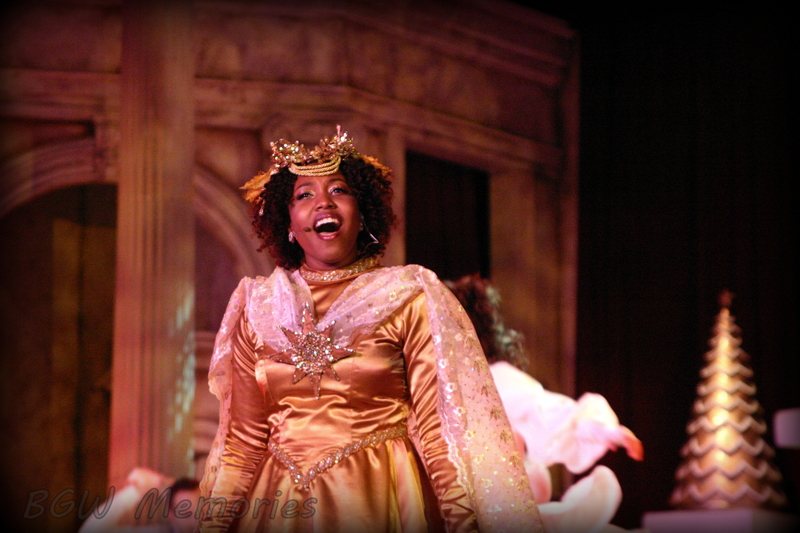 Kids will love the energy and fun of the performance and adults will appreciate the nostalgic flair. I never tire of seeing Frosty “thumpity-thump-thumping around the stage, but I do wish I could watch the show without singing “Heat Miser” for the rest of the day. At the San Marco Theater in Italy, Miracles returns to inspire guests with moving music and contemporary dance. 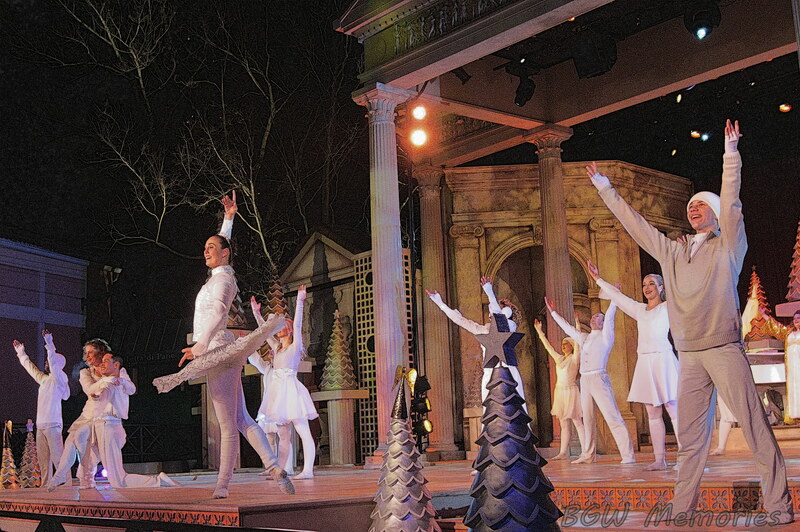 Located outdoors, I am always amazed at how well the performers dance and sing in downright frigid temperatures. They make it seem effortless and their hard work warms the heart and soul. 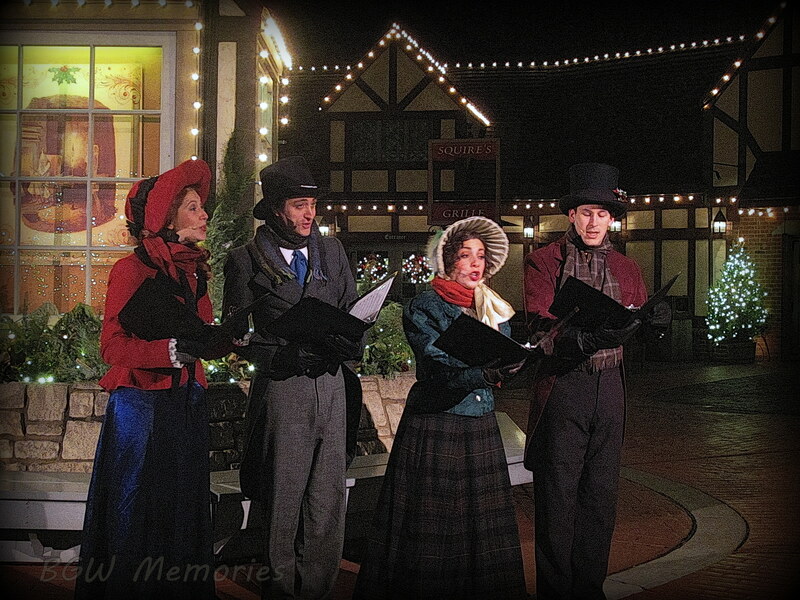 Unfortunately no times are given for three “roaming” musical performances, but be aware that there are Dicken’s style Christmas Carolers in England, a bagpiper plays in Ireland, and a Brass band performs in Holiday Hills. The musicians are amazing and if you are lucky, you may run across a performance. OK. I shouldn’t even have to mention it, but anyone wandering through Rhinefeld a.k.a. 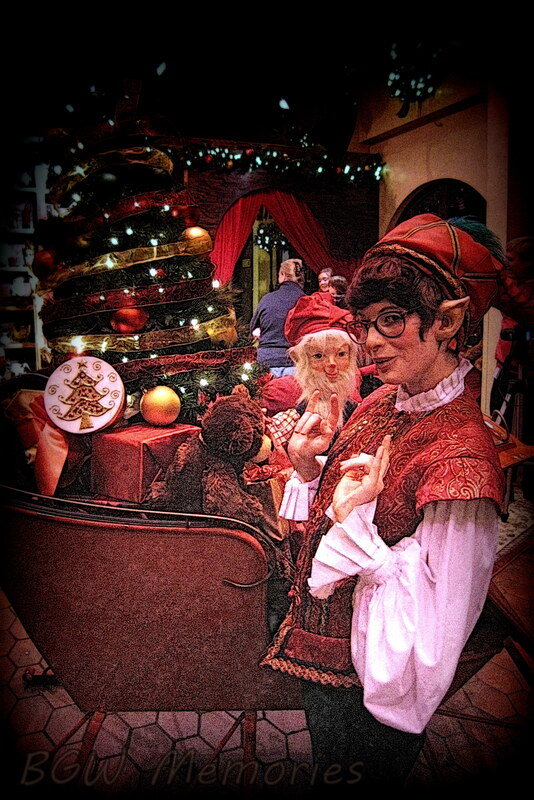 The North Pole, shouldn’t pass up the chance to see Santa, Mrs. Claus, and all the super cute Elves! 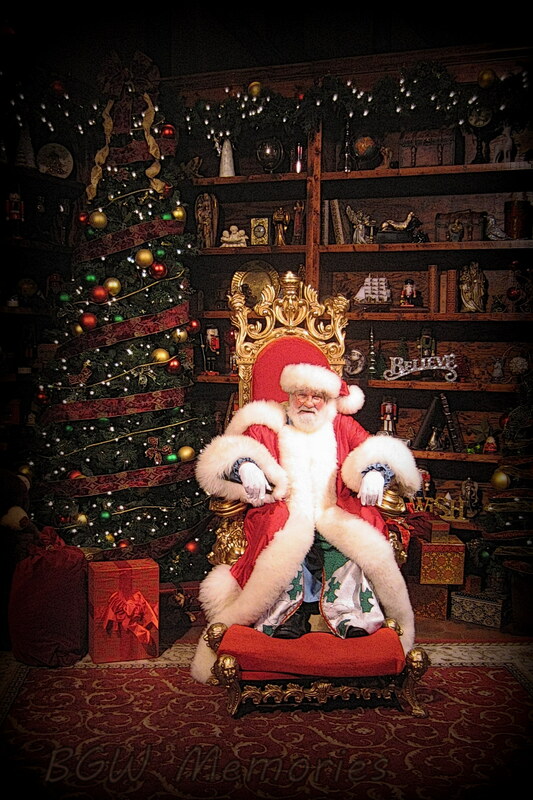 Who cares what decade you were born in, no one is too old to see Santa and the photo op the park offers just screams Holiday Photo 2013! Even if you are too afraid to see Santa, at least peek into the window and give him a little wave. Christmas is the season for giving, and there are plenty of places to find unique gifts for friends and family at Christmas Town. 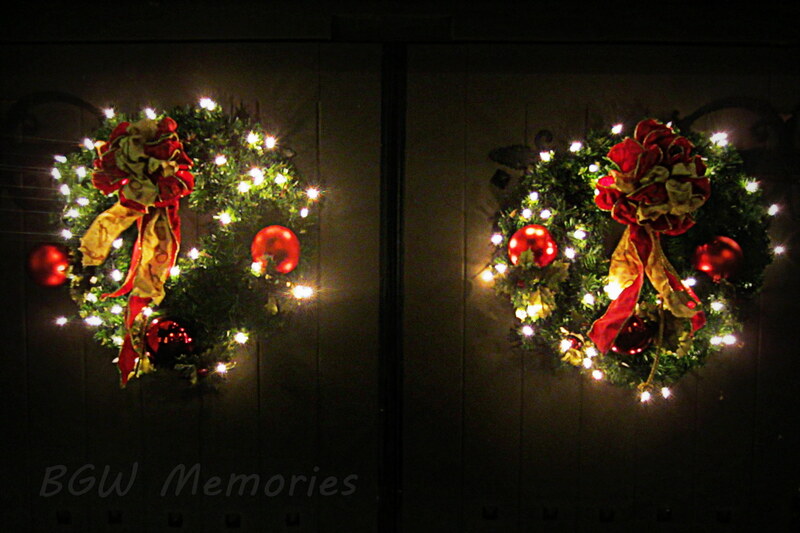 The stores are always so beautifully decorated that they become an attraction themselves. 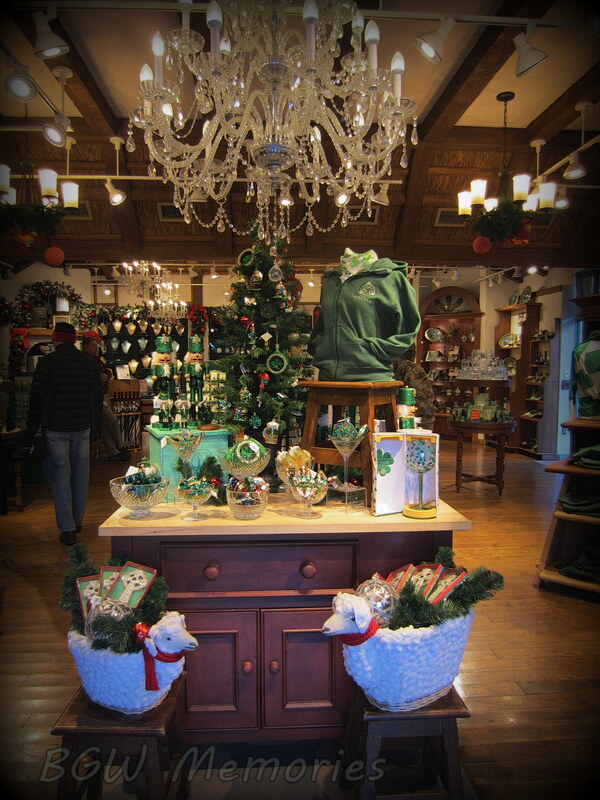 It is hard not to get inspired to go home and put up Christmas Decorations after walking through the gift shops. 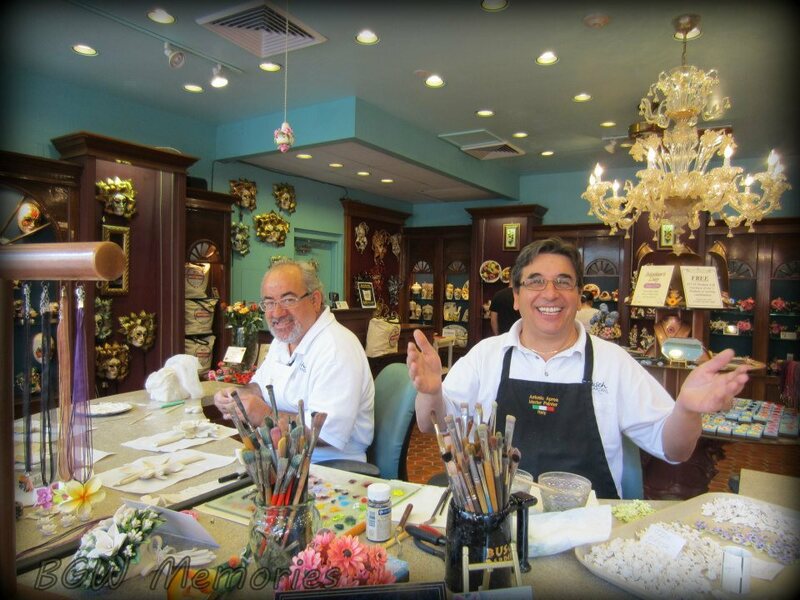 Artisans of Italy: Here one can purchase authentic Capodimonte Porcelain flowers created on site by master sculptor Nino Galoppo and hand painted by master painter Antonio Aprea. There are so many lovely choices of flowers; it is hard to choose just one. Right next door is Bella Casa Gift shop where Italian wines, wine tastings, Italy, and Wine themed merchandise are sold. German Gifts: No trip to BuschGardens is complete without a stop to German Gifts. 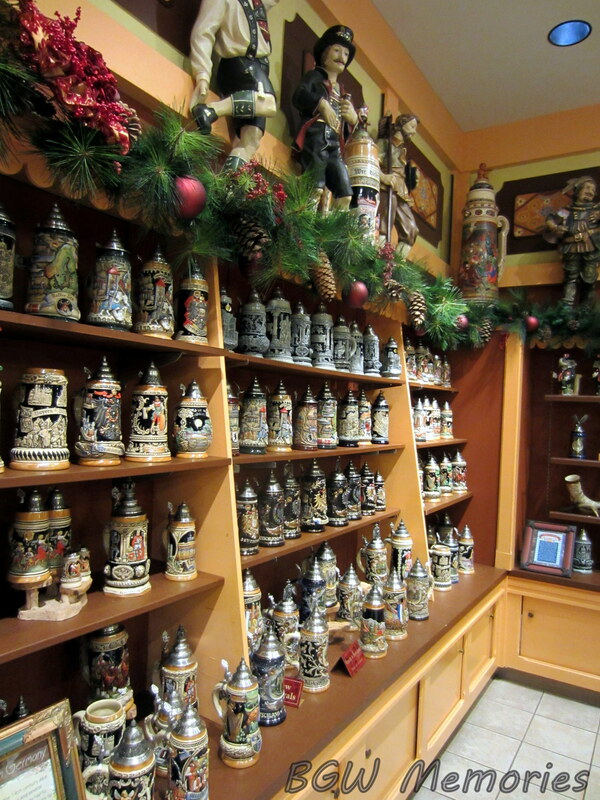 The store harks back to the days of the “Old Country” era and features traditional authentic gifts from Germany including high quality, hand painted steins and carved wooden cuckoo clocks. In addition, hand Blown glass sculptures, German themed merchandise, Christmas Décor, Glasses of Glühwein, German Wine, and German wine tastings are also sold here. Emerald IsleGift shop: A place to find authentic hand woven Irish sweaters, clothing, Waterford Crystal, and fine jewelry; as well as Ireland and Guinness themed merchandise. Mistletoe Marketplace: Located in Oktoberfest, this open air market hosts numerous local vendors that offer guests the chance to buy locally made gifts. I never turn down a round trip ride on the train, where treetops glisten along your magical ride around the park. The Flight of Lights turns the Aeronaut Skyride into a Santa’s Sleigh ride perspective of BuschGardens; alight with twinkling lights and the faint echo of Holiday music reaching every swinging cabin. 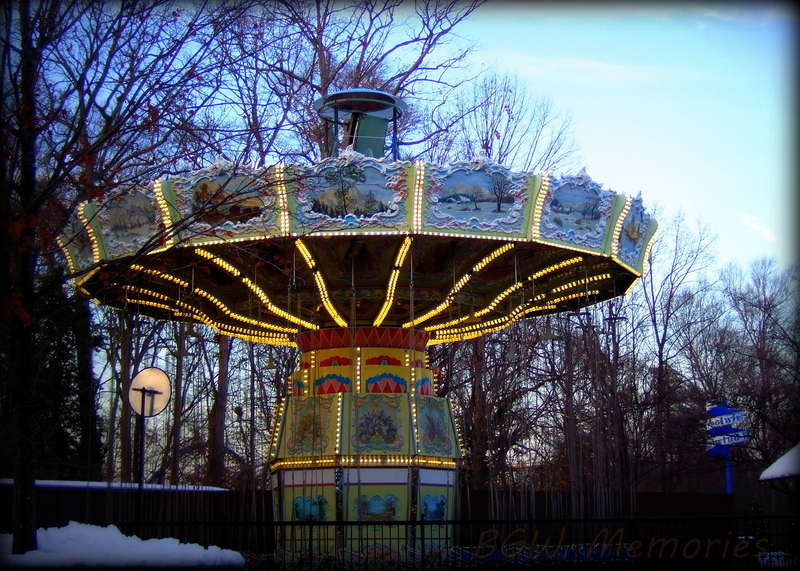 The feeling of riding the swings in the cold icy air never fails to make me feel like a kid again. Sitting down with a bottle of bubbly with friends to toast to what we are thankful for. 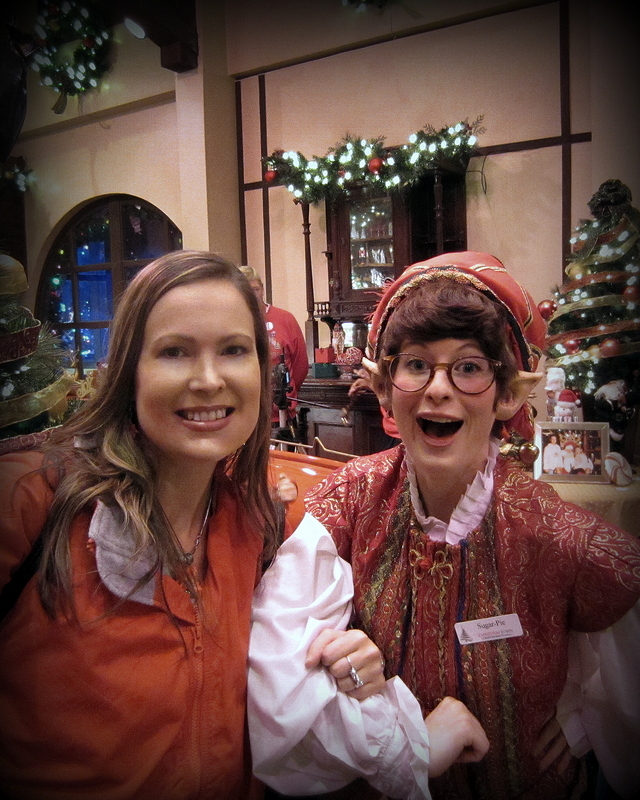 Knowing that every time I come out to Christmas Town, memories will be made that will last a lifetime. 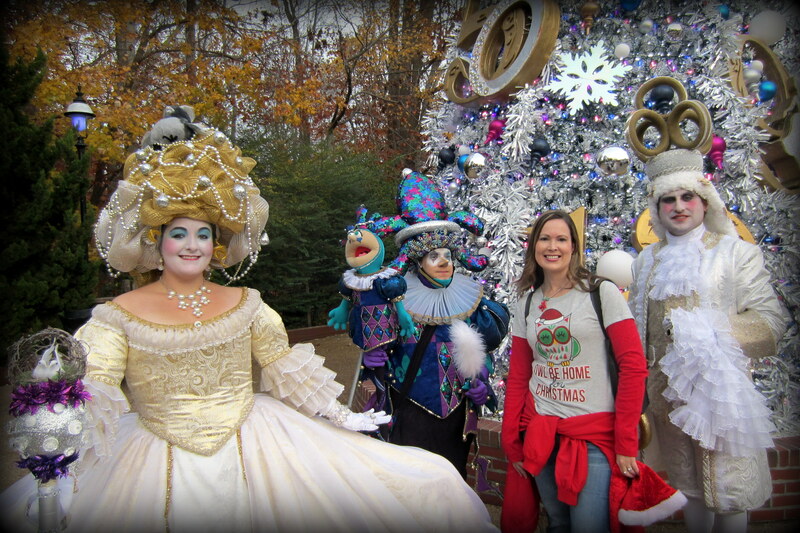 There really is so much to see and do around Busch Gardens during Christmas Town, that I could write a book. Just remember to take your time and enjoy the atmosphere of all the sights and sounds. Besides shopping, shows, food, and the rides; Christmas Town is a place to reconnect you to your childhood and to connect the young to their imaginations! ~~Merry Christmas to all and to all a good night!